LOS ANGELES – Oct. 10, 2012 – SGN, a leading cross-platform developer of social and mobile games, and Philippe Cousteau’s EarthEcho International, a non-profit organization dedicated to engaging youth in environmental action, today announced a partnership to raise awareness and charitable donations for ocean conservation. Running from October 10 – 17, SGN’s Rescue Reef, available as a free download on iPhone, iPod touch and iPad devices, will be receiving an EarthEcho makeover. The game will include special branded items and facts about ocean conservation, with SGN donating a percentage of revenues back to EarthEcho’s various youth education efforts. The announcement comes as part of SGN’s on-going initiative to offer a collection of fun and educational games, with more partnerships planned in the future. The EarthEcho campaign follows the success of Fluff Friends Rescue, an animal protection-based game on iOS and Android featuring branded virtual items from The Humane Society of The United States that reached #2 in Top Apps (iPhone) and #1 in multiple other categories on the App Store. A portion of the revenues from in-game purchases goes directly to the non-profit, resulting in thousands of dollars donated to the organization thus far. A new title based on an African safari that teaches wildlife conservation and ecology will be announced soon as part of this on-going initiative. Kimberly Muller, author of the acclaimed children’s book “Last Night I Swam With A Mermaid,” inspired the partnership between SGN and EarthEcho. Kimberly’s book is an unforgettable ocean journey. As the adventure unfolds, we learn the valuable lesson that we are all connected and therefore we must respect and protect one another, our planet, and ourselves. Inspired by her children’s love of the ocean, video games, and their natural inclination to make a difference, Kimberly felt it was important to use this platform as a way to engage this generation in giving back. 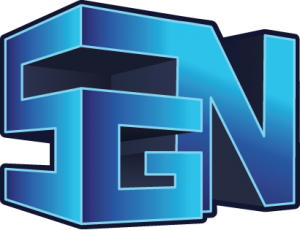 SGN connects people around the world through great games. As a top developer and publisher of games on Facebook, iOS, and Android, SGN lays claim to hit titles such as Panda Jam, Fluff Friends Rescue, Jewels of the Amazon, Bingo Blingo, Skies of Glory, and MindJolt. SGN games have been installed over 200 million times on leading mobile and social platforms, making it one of the largest cross-platform gaming companies in the world. Based in Los Angeles, SGN is backed by Austin Ventures, with studios in Buenos Aires and San Francisco. For more information, please visit www.sgn.com. EarthEcho International is a leading environmental nonprofit committed to youth engagement, action, and leadership through education. EarthEcho helps young people everywhere understand the critical role we play in the future of the planet through the one thing that connects us all – water. EarthEcho International is a nonprofit 501(c)(3) organization founded by siblings Philippe and Alexandra Cousteau in honor of their father Philippe Cousteau Sr., son of the legendary explorer Jacques Yves Cousteau. For more information about EarthEcho International, visit www.earthecho.org.